Finding ways to recover oil through technology doesn't make the amount infinite. I would have liked it if you had mentioned EROEI (Energy return on Energy Invested). There is part of the anti-peak narrative that says so long as the prices go up, ingenuity and technology will allow us to recover more oil. But this has a limit: no matter what price once EROEI = 1:1, there is no point harvesting the oil at all. We talk about what the markets can bear in terms of dollar costs, but money isn't real, energy is. What isn't baked into those IEA scenarios at this stage is the ability of the over-levered financial community to continue to fund the ever growing cost to provide the needed exploration and production. Suggest the high cost of energy will again be the trigger that trips the economic wire as it did in 2008. 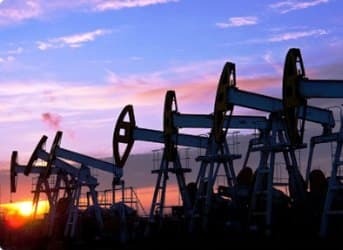 Also what isn't well understood is how the higher cost of supply in turn reduces demand and as demend is reduced there is a direct relationship to quality of life...and so while the date for Peak Oil is subjective there are two sided of the equation which make it very difficult to define. I believe Peak Oil will come but I think when may be some time off yet. Technology for the things for which we use energy is moving at quite a pace. LED's, wind, tidal, solar and internal combustion. That coupled with recent unexpected oil and gas finds and the general global downturn and population maxing out at 11 billion all impact this. When it comes to EROEI there may be a point in harvesting oil even if the return is less than one because of the form the energy takes. Oil is more readily converted to useable forms than say coal. Gas even more so. I would argue that Peak Oil is not a theory but an observed phenomenon, just as Evolution is no longer a theory; we can argue about the nuances and particulars of each, but they are observed 'facts'. In fact, if one only considers coventional crude oil--and not all the other liquids and condensates that have been conveniently 'reclassified' by the oil/gas industry and included in total oil production--then Peak Oil has already occurred, in 2005. The other very important aspect left out of this particular discussion is the concept of energy-returned-on-energy-invested (EROEI). Conventional crude has an EROEI of about 100-to-1 (you get about 100 barrels worth of energy for each 1 put into retrieving the oil), but shale oil and bitumen have a much lower EROEI (bitumen is about 3-to-1). In fact, what we have been witnessing is a classic example of diminishing returns: more and more energy must be put into retrieval just to maintain current levels. As Gail Tverberg eloquently argues, it is likely to be economic factors that limit oil production and eventually cause a 'collapse' rather than geologic (i.e. disappearing oil reserves). See: http://ourfiniteworld.com/2014/03/21/oil-limits-and-the-economy-one-story-not-two/. Peak Oil has arrived. It is not in our future, and the longer the wider world, but especially our so-called 'leaders' deny it, the greater the likelihood that most people will not survive the transition to a post-carbon world. We're already witnessing some of the pernicious aspects of resource depletion: resource wars and geopolitical posturing as occurring in the Middle East, eastern Europe, Senkaku/Diaoyu Islands, and Africa. One of the environmental concerns is not just with global warming or CO2 levels, but with feedback loops, cascade effects and the ability of capitalism to respond. In terms of feedback loops, we have already seen greater than anticipated effects of global warming on the speed of global warming. These arise when the reflectivity of the earth's surface becomes less, increasing the gain in heat absorption. This accelerates global warming, again increasing melting of reflective land surfaces, and so on. I would call these second or third order effects that produce a wide range from best case to worst case scenarios because of modeling challenges. Another feedback loop/cascade effect involves flora and fauna. Initially minor changes in CO2/average earth temperature only effect organisms sensitive to such changes. But as the climate effects become greater, more organisms are faced with extinction, which ultimately affects more of the food chain. When gaps in the food chain become large enough, the chain is broken in many places and cannot be rebuilt, causing more die-off and greater gaps in the chain. Connecting these effects to fossil fuel consumption is an abstraction in economic terms. Market forces under capitalism respond best to moderate time frames that allow enough time to establish new consumer driven practices. If the impending change sought by consumers is too soon, the resulting changes in economic practices (such as marketing energy efficient products) is more expensive than if those changes were more gradual. However, if the change in climate is too slow, then the response of the free market is also slow. While this allows for cost savings from the extra time allowed to establish a new economy, by then the world's production of CO2 has already passed the point of return for at least a century. In other words, market forces respond inefficiently to rapid changes in conditions or they don't respond adequately when change is slow but has already too much momentum to reverse in a just a few years or even decades. When governments face these challenges, they respond by trying to influence the capitalistic system. But the population, subject to the commons effects, will resist these controls on consumption as unnecessary until the problem becomes so acute that a committed populace cannot undo what has already begun. One only has to look at the air quality of large Asian cities to know how long people will accept the effects of a declining air quality before doing anything about it. I believe these effects will largely affect the poor, leading to mass death, with those who have accumulated wealth largely untouched. But even the wealthy may suffer if they are attacked as a symbol of global destruction. The revolution will not be televised.